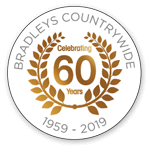 Bradleys Countrywide has been established in Residential Lettings since 1959, successfully letting and managing properties. We are proud to be a professional office with an experienced team headed up by partners Lee and Jeanette Chambers. Specialising in residential lettings throughout South East Essex. We deal with all types of property lettings, from flats and apartments to luxury houses. We are a unique pro-active, customer focused letting agency and pride ourselves in taking the time to ensure our clients' wishes and needs are fulfilled.